I could touch the wagons but I never dared. I thought that I have no right to do so. I was not there at the time. But I felt the energy of that horror. I felt it physically. The wagon was set aside. To enter into it was optional. I found myself inside before realising what I was doing. 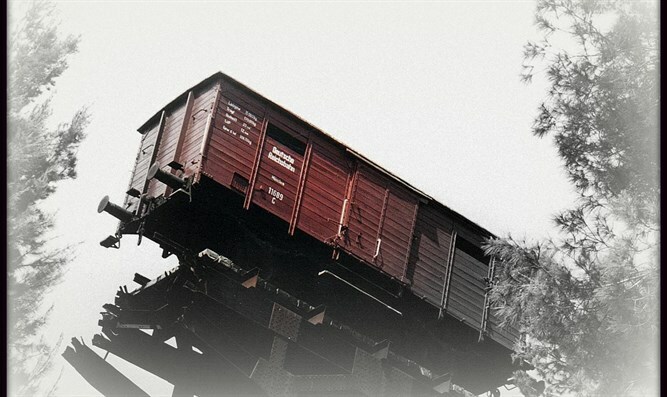 I have seen similar cattle wagons before, in different places, both inside museum walls and outside, in their natural environment, in Auschwitz, at Yad Vashem, in Washington, you name it. I filmed them practically in every place I saw them: in Poland, in Israel, in Ukraine, in the United States. I filmed and photographed them because it was as if they were speaking to me. Or somebody from there, from inside, was. I could touch the wagons but I never dared. I thought that I have no right to do so. I saw the elderly survivor from Italy crying uncontrollably, with his head lying on the cattle wagon’s wooden plank in Auschwitz, his wife trying to console him unsuccessfully, and I knew that I was right in distancing myself from physical contact with those wagons. I had no right to touch them. I was not there at the time. But I felt the energy of that horror. I felt it physically, and it did not start with the wagons. The first time I did, it was in Mauthausen when I was filming for The Lessons of Survival, my film on and with Simon Wiesenthal, a dear friend. In Mauthausen, the light-blue doors with such nice roses painted on them circling the DUSCHE sign in a cosy pastoral style had me raving . But I had no time for emotions, I was working. I had to concentrate. Inna Rogatchi (C). Human Dimension. Yad Vashem. Israel. Fine Art Photography collage. Then we stepped into the crematorium building and were working there. Then we proceeded into the ‘medical’ rooms. Then to torture chambers. 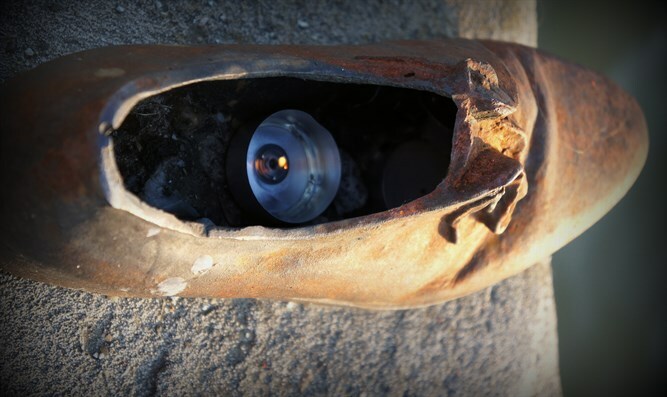 My experienced Finnish camera-man, who spent twenty years filming wars in Africa, did confess to me in the evening when we both were having a quiet drink after a long day: “Have you noticed that I lost consciousness a couple of times when filming in the chambers? Sorry if the stuff will not be stable at some moments”, - he sighed. I did not cry there in the chambers. I did not cry after that work at all for three years. But I felt the horror in all those now empty places in the camp which were so overcrowded fifty years before I stepped in there. I felt like the very air inside the chambers and the places leading to it had been very thick with nothing but a sheer horror. The Mauthausen walls preserved it intact. I felt the energy of murdered people, my Jewish brethren, in the many places plagued with the Shoah: inside the barracks of Birkenau, next to the ditches of Paneriai, at the numerous ravines in Ukraine. I felt it in all those ghettos where I was walking through once and again, in Krakow, Warsaw, Vilna. 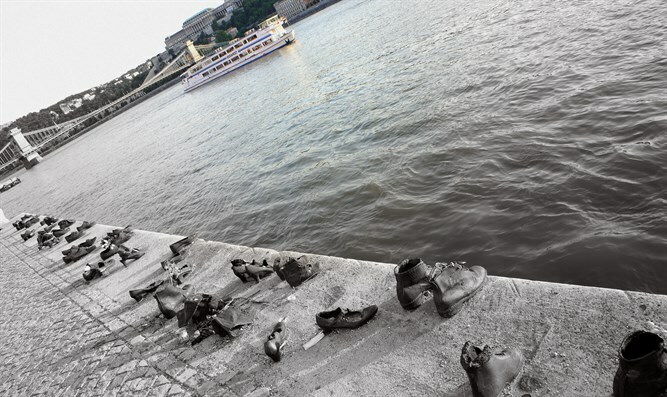 I felt it on the Danube embankment at the place of the mass assassination and drowning of the helpless people just there. I still feel it ever since, regarding all those places . 4. Inna Rogatchi (C). Greetings from the Past. Fine Art Photography. The first time that I was told about the Nazi camps and the people’s indescribable suffering there, as well as unimaginable heroism that occurred in response, I was six years old. My mother told me the story of doctor Korczak and the children from his Jewish orphanage, the children he did not leave although he was able to do so, instead comforting them all the way to Treblinka, perishing together. For my mother who was a teacher and a student of prolific linguist, professor David Alba whose entire family including his wife and children died in the Warsaw Ghetto, there was no higher example of human devotion than the one undertaken by Janusz Korczak. Timing-wise, the stories from the camps were quite close to us. My mom had become a student and heard the Korczak story from her professor just eight years after the end of the war. How grateful I am to her for being wise enough of heart to tell about it to me when I was a little child and set my perception of the world in this way. twenty years my senior, and like my mother, she was a child of the Second World War. Fanja was the only child of two military doctors and spent all the years of the war together with her parents in numerous military trains and hospitals, and was bombed there many times. She became a doctor, naturally. Fanja was dry, savvy and highly intelligent, very much a no-nonsense person. She did not share her sensations with anyone before starting to talk with me about them, she said. She was shocked by her experience and described her visions as full of senses – the smells, the lights, the colours, the visions of certain streets, corners and basements. Fanja told me about that sweeping, colossal, paralysing fear that had been overcoming her at the times of those visions. I told her that my only understanding of it is that some sparks of the souls who were murdered during the Holocaust, the tattooed souls as I call them, have entered Fanja’s own soul, to live inside there. I have no other explanation. Later on, travelling the world from one corner to another, I met more people like Fanja who, to my understanding, are also hosting some sparks from the souls of the Country of Six Million. It seems as if all those souls, who did not leave the bodies which they had inhabited due to natural causes, continued to stay on earth. They had been torn off abruptly, gruesomely, by those who loved or obeyed the Nazi evil. They had to live somehow and somewhere, those forcibly torn off souls. Each of them had its own destined time to exist in someone’s body. During the years, I have met and still am meeting so many people each who have a Holocaust story to tell, the survivors, their children and grandchildren. And every single one of the stories that I have heard ought to be written and remembered. Each is unique, extraordinary and magnetic. Because each is about the human spirit. Each of them breathes life, even in death. So I found myself in that cattle wagon in Chicago. It was as dark inside, as one can imagine the darkness in a child’s fears. But it was more than dark. The blackness inside the wagon was the entire world. It was the air, the home, the dream, the night and the day. It was the only thing existing. And yet I was spared from non-stops screams around me in the overcrowded wagon, from smells, from suffocation. I was spared from a total sweeping despair, my own, on top of everyone else's around me.
. Inna Rogatchi (C). Danube Step. Fine Art Photography. In that cattle wagon of the Deutsche Bahn with time rapidly running back, I could hear its beat more loudly than my own heart’s jumping. I remembered very vividly the words of Viktor Frankl’s account of himself and people around him taken in a similar wagon on their way to Auschwitz, and how much he struggled to get a chance to have a moment's glance from that small window with ugly metal bars over it, towards his city disappearing in the view with no time at all. When I stepped out of the wagon, I felt that my understanding of how my fellow Jewish people and all the other victims of the Nazi feast of evil felt at the time of that massive attack against humanity, was almost complete. No time distanced me from the events in early and mid-1940 any longer. It all was happening now. (C) Inna Rogatchi ~ Excerpt from the collection of essays on the Post-Holocaust period. 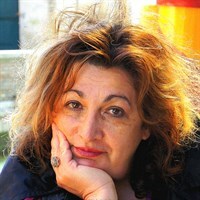 Dr. Inna Rogatchi is president of the Rogatchi Foundation and a prolific historian, fine artts photographer and speaker. Her forthcoming book is "Stars of Despair, Stars of Hope: Personal Reflections on the Holocaust in Modern Times." She is a member of the Board of the Finnish National Holocaust Remembrance Association.